Twitter users found McHale in a crowd photo from a rally for President Trump. By Spencer Buell·	 6/21/2018, 11:34 a.m. Photos from last night’s Trump rally in Duluth, Minnesota had all the hallmarks we’ve come to expect from these things: A sea of red “Make America Great Again” hats; a frenzied, conspicuously pasty crowd; dudes getting mad at the news. But… wait a minute. 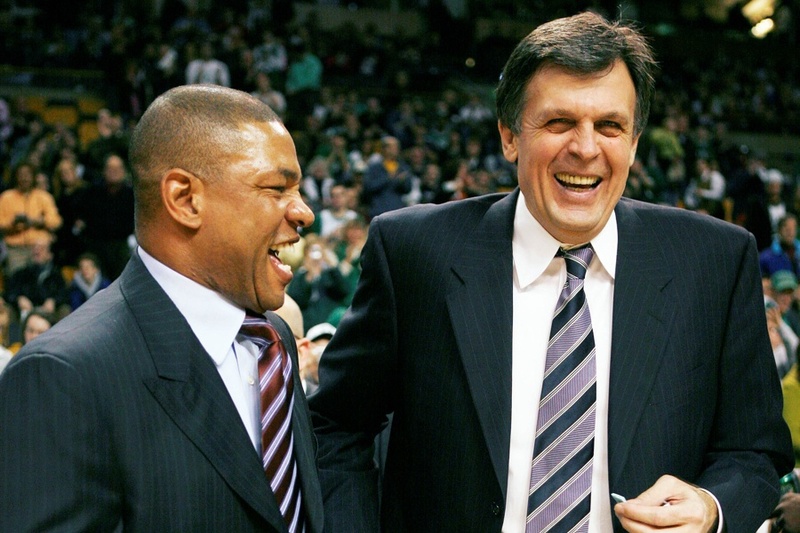 Is that content-looking man among the crowd Celtics legend, former coach, and NBA broadcaster Kevin McHale? It appears so. Twitter users spotted the Hall of Famer—who played for the Celtics from 1980 to 1993 and went on to coach the Minnesota Timberwolves and Houston Rockets before his current gig calling NBA games for NBA TV and NBA on TNT—in a picture tweeted by a photographer for the Minnesota Star Tribune. As you can imagine, the MAGA community is thrilled by this news. For many, though, strolling into one of these spectacles at the height of a controversy over Trump-enabled separation of thousands of children from their parents seemed a pretty brash move for a sports celebrity and TV personality. Meanwhile, a different Kevin McHale, the one who starred in the hit TV show Glee, has pointed out that he was not at said Trump rally to clear up any confusion.